On November 2-11, a group from the Volunteers in Mission (VIM) Program will travel to Puerto Rico for a work week at the parish of San Juan Climaco (St. John of the Ladder) in San German. The project is being organized with the blessing of the First Hierarch of the Russian Church Abroad, His Eminence Hilarion, Metropolitan of Eastern America & New York, and at the invitation of parish rector Priest Gregorio Justiniano. The main purpose of the trip is to help the mission parish prepare for an inaugural fiesta on Sunday, November 10th. “This fiesta will officially introduce the parish to the surrounding community by incorporating various aspects of the native culture – food, music, language, art, etc.” said VIM director Archpriest John Moses. 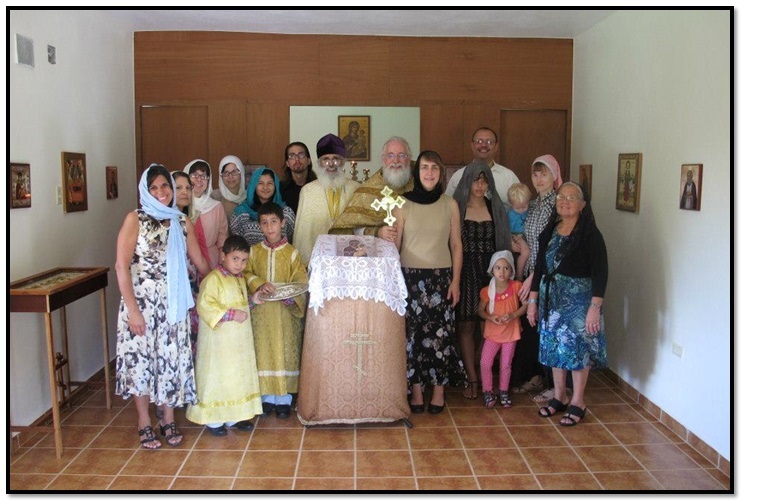 “It will be a vehicle to let the town of San German know that Orthodoxy has arrived on the western side of the island, where immigrants of Orthodox descent are very scarce,” Fr. Gregorio added. The festivities will be led by Metropolitan Hilarion, who also plans to participate in the VIM project. The schedule of events for VIM members will not only include work projects at the parish, but also time to get acquainted with the local culture. “There will also be trips to surrounding sites, and team members will have an opportunity to become familiar with life in Puerto Rico. In the evenings, we will have various programs on spiritual life,” explained Fr. John. Registration is open to both men and women 16 years of age and older. Visas and passports are not needed. Knowledge or proficiency in Spanish is helpful, but not required. While there is no set fee for this event, team members are encouraged to raise donations from their parishioners and family members to cover the cost of airfare, meals, and materials. Space is currently limited to 10-12 team members. Those who are interested in participating, should fill out the VIM application (located here) and mail it to V. Rev. John Moses 3648 Middlebrook Village Road, Middlebrook, VA 24459. Filling out the form does not commit you to the trip, but simply shows that you are interested. Specific and detailed information will be sent out after the application is received.